First, treat Mom and the family to the Texas Crab Festival during Mother’s Day weekend in nearby Crystal Beach. From May 11-13, sample delicious seafood, and enjoy such events as a crab gumbo cook-off, crab races, a crab legs contest, carnival rides, arts and crafts, live music, and more. For more information and tickets, click here. Next, the Galveston Historical Foundation is hosting public tours of privately owned homes during the annual Galveston Historic Homes Tour on May 12-13. For details, call (409) 765-7834. 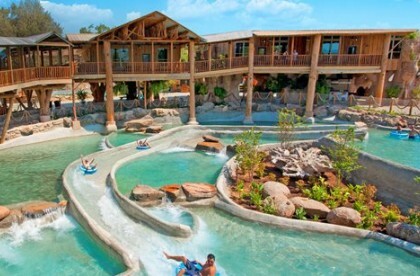 Afterward, get ready to splash and tube your way to a family fun time when Schlitterbahn Waterpark Galveston opens its entire water park full-time on May 16. The water park, offers free parking and free inner tubes, along with an abundance of water coasters, slides, and wave rivers. Why not make it a day-long outing and bring a picnic? For details and a full list of attractions and events, click here.